Encourage and strengthen scientific collaboration, promote science at schools and offer students the opportunity to gather experience in an international setting whilst improving their teaching skills – these are just some of the objectives of the MIT Germany Program, an initiative of the renowned Massachusetts Institute of Technology (MIT), in which FAU is also involved. Research collaborations between FAU and Massachusetts Institute of Technology (MIT) are an important part of FAU’s internationalisation strategy. Students, too, have started to cooperate with fellow students in other countries, and have already made valuable contributions to research. One example: a study carried out by the young researcher Robert Richer from the Chair of Computer Science 14 (Machine Learning and Data Analytics) at FAU together with Judith Amores and other scientists from MIT reveals how physical and mental relaxation can be improved. A VR headset which allows the user to immerse themselves completely in a 3D, 360 degree panorama of artificial worlds is used in combination with a scent collar which releases the relevant smells and an EEC headband to measure brainwaves and determine the degree of relaxation. The positive result shows how virtual realities can be incorporated even better into psychological therapy. Richer and his colleagues at MIT presented their findings this year at an international conference in Las Vegas, where they won the award for the best student paper. The paper was written whilst working on his Master’s thesis during his stay at the MIT Media Lab. Richer’s Master’s thesis was supervised by scientists at both MIT and FAU. Prof. Dr. Björn Eskofier from the Chair of Computer Science 14 at FU was one of the supervisors. He is also involved in several joint projects together with researchers from MIT. One of these is the project funded by the DFG ‘The future of work in the digital age: how tracking and tracing technologies will change the world of work’, which he is working on together with Prof. Dr. Alex Pentland from MIT. Together they are developing tracking systems and investigating how gathering information at work effects health, motivation and performance. The IT professor Eskofier is the point of contact at FAU for scientists who are interested in joint projects together with MIT. The MIT Germany Program is part of the MIT International Science and Technology Initiatives (MISTI) which have the aim of advancing knowledge, encouraging enthusiasm for science and technology among students at school and university and promoting strategic partnerships with researchers, companies and governments across the globe. Funding is available from MIT Germany for joint projects in research and teaching for an initial period of three years. The programme is intended to fund new projects in the start-up phase, promoting international exchanges for scientists. This should in turn also benefit the students who are involved in the exchange. 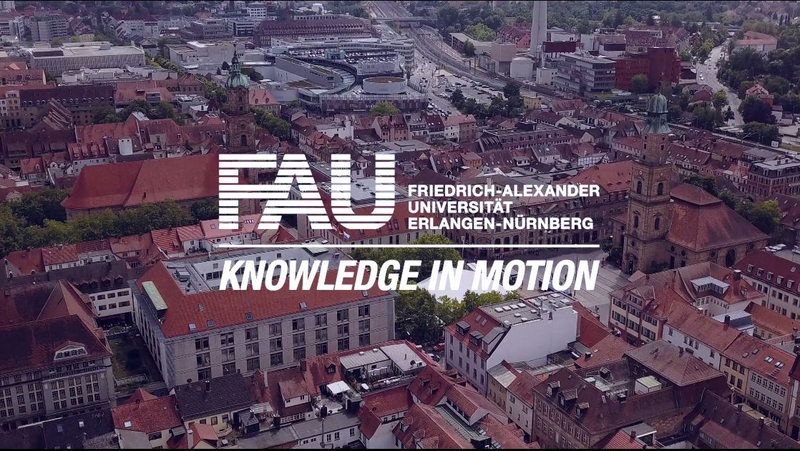 The programme also allows students from MIT to spend time abroad at FAU and its regional partners in industry, such as adidas and Siemens Healthineers. The Global Teaching Labs are aimed at school pupils, hoping to inspire them with enthusiasm for STEM subjects. Students from MIT are cooperating closely with schools in the region, offering tailored courses on scientific or engineering topics to bring research into schools. At the same time, this gives students the opportunity to improve their teaching skills. The courses also focus on the topics of innovation and starting a company. Once a year, a workshop is held on topics relating to research and teaching.